When an employer decides to sponsor a retirement plan for employees, it takes on great responsibility. Anyone who exercises discretionary authority over any vital facet of plan operations likely will be considered a plan fiduciary. In turn, these individuals face a significant risk of liability if anything goes seriously wrong with the plan. Your plan document should identify the corporate entity or individual serving as the “named fiduciary.” But other common examples of fiduciaries include those who serve as plan trustees and members of the board of directors. It’s critical to protect these individuals from the potential negative outcomes of serving in this capacity. 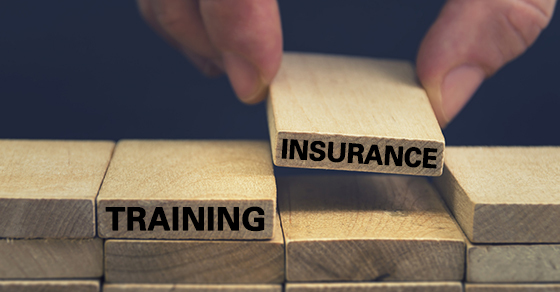 First and foremost, given the critical function of plan fiduciaries, they must be properly trained. This is a step that’s often neglected and can be of concern for employees who don’t have full-time jobs related to running the plan. The U.S. Department of Labor is known to focus on this when it reviews a plan’s operations. Failing to properly train fiduciaries to carry out their roles may even be a fiduciary breach on the part of the other fiduciaries responsible for selecting them. One common mistake related to poor training is relying on retirement fund investment alternatives that focus on narrow sectors and strategies. Fiduciaries typically do so out of concern about stock market volatility and speculation about changes in Federal Reserve policies (and their resulting financial market impact). Such concerns can divert fiduciaries’ attention from the investment options where most of their participants are parking most of their retirement savings: stable value and target date funds. A sometimes-overlooked task includes properly protecting fiduciaries against costly litigation and penalties with insurance designed for this purpose. Employers generally cover fiduciaries who also serve as corporate directors or officers through directors and officers or employment practices insurance policies. These generally don’t extend to fiduciary breaches. A stable, well-administered retirement plan is a competitive necessity for most employers today. If you’re providing one, be sure to not only handle the plan itself well, but also properly manage the risk of its fiduciaries. For more information, please contact us.